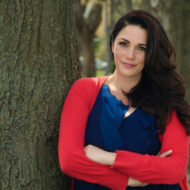 Melissa is a registered psychotherapist, mother and champion of the human spirit. Her approach to therapy is holistic in nature, honouring mind, body and spirit. Working to uncover and strengthen the true essence of who we are. She is a passionate supporter of women and recognizes the unique challenges motherhood brings. In your appointments, you will begin to open up to your own wisdom and intuition and learn new tools to help you create a life of joy and peace.